Southern woman confession: I’ve never fried chicken. We eat a lot of grilled, roasted, and steamed food around here. Nothing fried. Ever. But my kids wanted to go to Chick Fil A for dinner and truth be told, so did I. But I had chicken on the menu for tonight (it was going to be grilled), so I decided to fry it. I am so glad I did! It was maybe the best thing I’ve ever cooked. Now, I probably won’t do it again for a long time (to avoid clogging my arteries and also the horrible smell in my house right now after frying), but man, it was totally worth it! Like I said, I’m no expert in frying, so I suggest going over to visit Ree to get step by step instructions if you don’t know how to fry chicken. Here’s the recipe, as I made it. Soak chicken in buttermilk for 15 minutes (or up to an hour). When you’re ready to cook, combine flour, spices, and about ¼ cup buttermilk (from chicken) in a bowl. Mix with a fork. Remove chicken from buttermilk and dredge in flour mixture. When the oil is hot, add chicken to the pan. Do not crowd the pan, cook in batches if necessary. When golden, remove to a paper towel to drain oil. 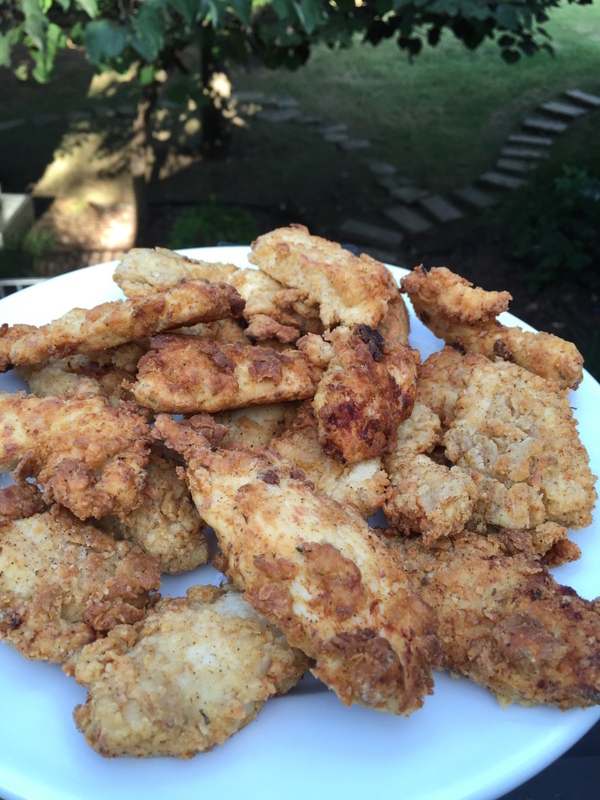 Copyright © 2015 Our Everyday Dinners - This is an easy recipe for how to make Buttermilk Fried Chicken.